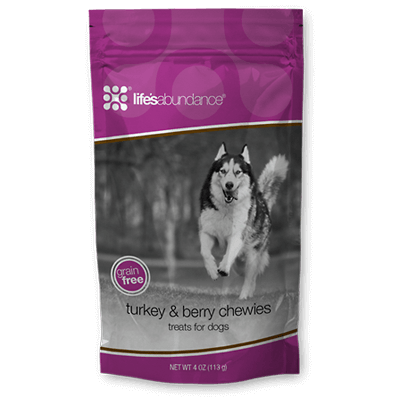 Nutrition and Health Products for your new puppy! These are just some of the products we use for all of our Australian Labradoodles. We highly recommend you keep your puppy on the same food. You can click on product below to purchase. In recent months we have witnessed numerous recalls of large corporation dog foods due to contamination from bacteria, chemicals, sub-standard ingredients, or recently, the most horrifying presence in dog food of pentobarbitol (a drug used to euthanize animals). Out of love and concern for the health of our dogs and puppies, we went on a search for a superior dog food with a stellar track record. After conducting a careful trial in our home, we have chosen to add Life's Abundance to our choice of foods. LA is a high quality dog food that has never had a recall and is manufactured by a small, employee-owned company. Crafted with care, this premium quality dog food provides advanced nutrition and is made with wholesome ingredients, relying on the strength of proven nutritional science to promote canine health and longevity. Each batch is carefully tested for quality and then goes straight from the manufacturer to the consumer within 4-6 weeks, not like other foods which can sit on a shelf for months to almost a year. We have decided to switch all of your dogs and puppies over to LA and they love it! We try to find the best food and products for our dogs and when we do..we want to let our families know also!